Magnetic Vertex 24kt Gold Rollerball Pen [PKFP5030] - $53.60 : AnkleBiter Woodworks, When all else fails, send in the dacschund! This is truly the gift your recipient can't put down! 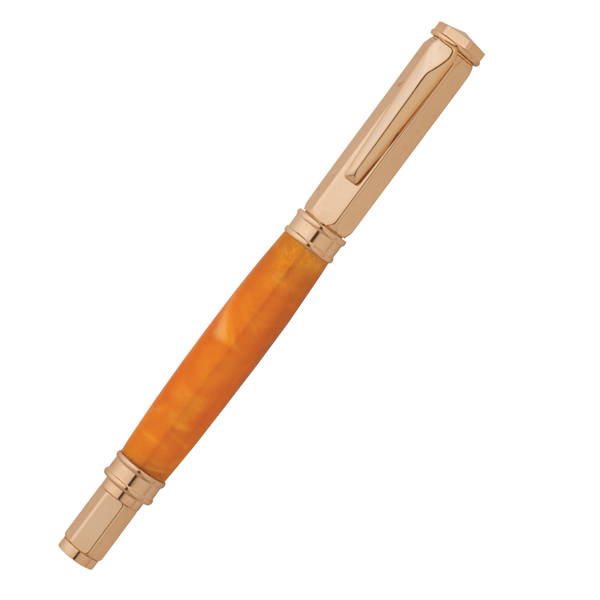 With its sleek, faceted 24kt Gold plated design, this pen is a winner. But what makes this pen truly mesmerizing is its unique magnetic cap. The cap easily posts magnetically onto the nib and back of the pen without the use of threads.